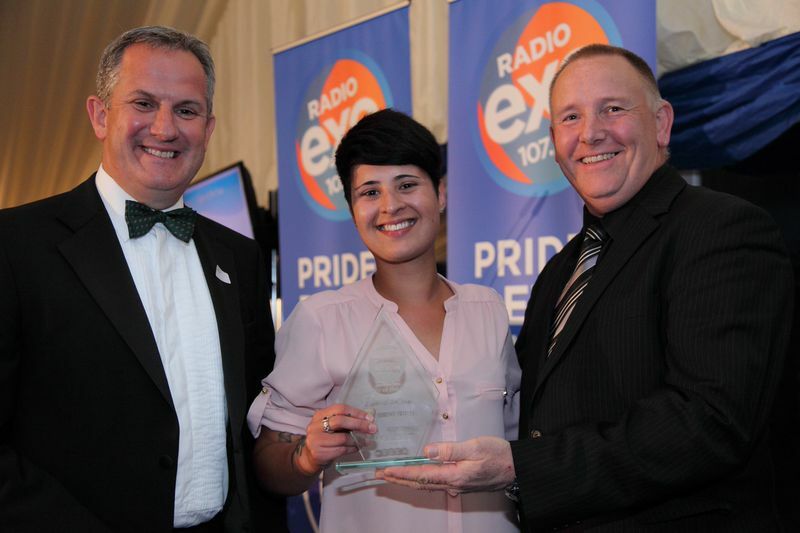 Nineteen Devon heroes from all walks of life have been honoured at the inaugural, annual, Guildhall Shopping Exeter Pride of Devon Awards, organised by Radio Exe. 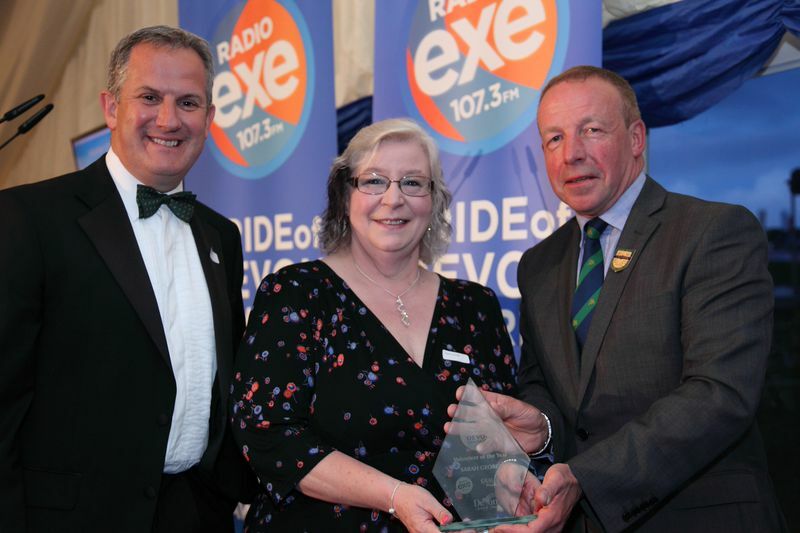 The prestigious event, held to coincide with the Devon County Show, took place at the show’s Vice Presidents’ and Sponsors’ Pavilion on Friday 23rd May. 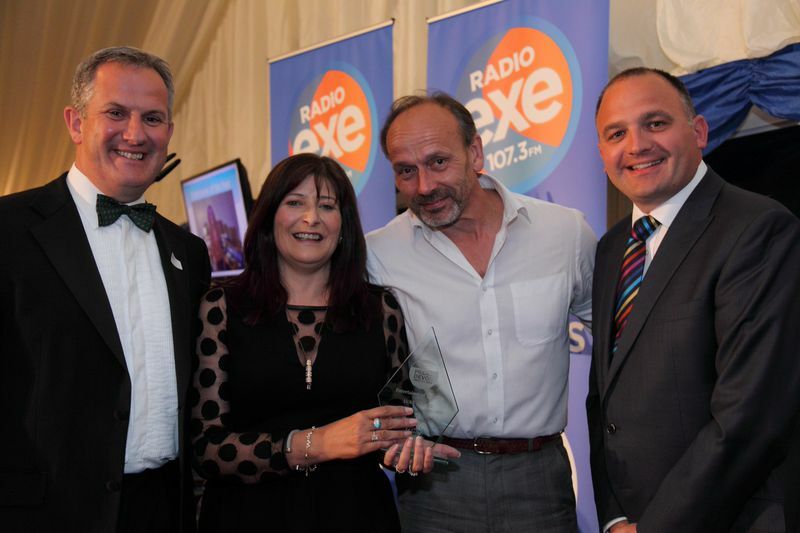 Hosted by Mark Tyler, the lucky 19 and their guest enjoyed a glamorous ceremony among the movers and shakers of the area (and Radio Exe presenters too), before collecting their award. 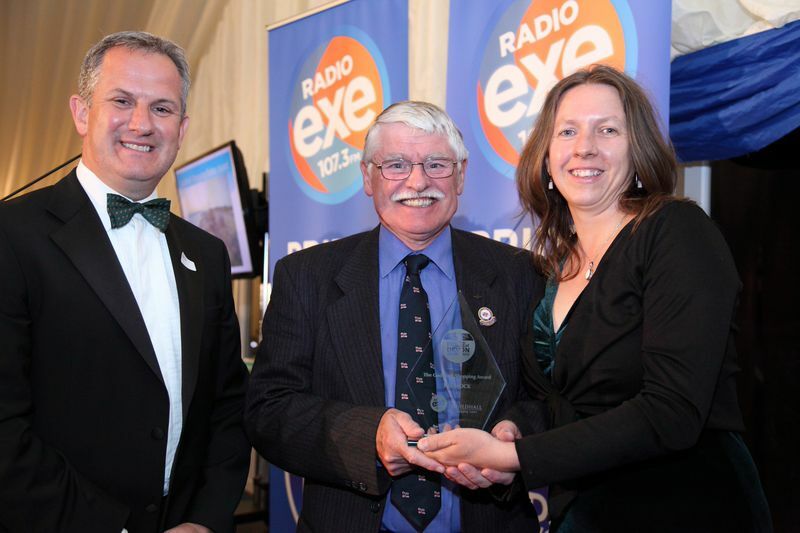 Grandparents, carers, neighbours, teachers and military heroes were some of the reappearing awards, this year also saw five new additions including boss of the year and the environmental award, opening the awards up to even more people of Devon. Good neighbours don’t always get noticed. Bad neighbours are the ones we read most about. The ones who play loud music, row and make you wonder what their dodgy guests get up to. A good neighbour is a godsend. And that’s Sally Gaydon. Sally keeps an eye on octogenarian neighbour Joan in a rural part of Devon. When you’re elderly and rural, especially if you’re not very mobile, you need other people. Joan’s fortunate in Sally, who’s daughter Alice nominated her. Sally cares around the clock, said Alice. She does all the normal things good neighbours do, such as keep an eye on the house if Joan is in hospital, or pops round with milk or the shopping. She picks up Joan’s prescriptions. She makes sure the house is warm. 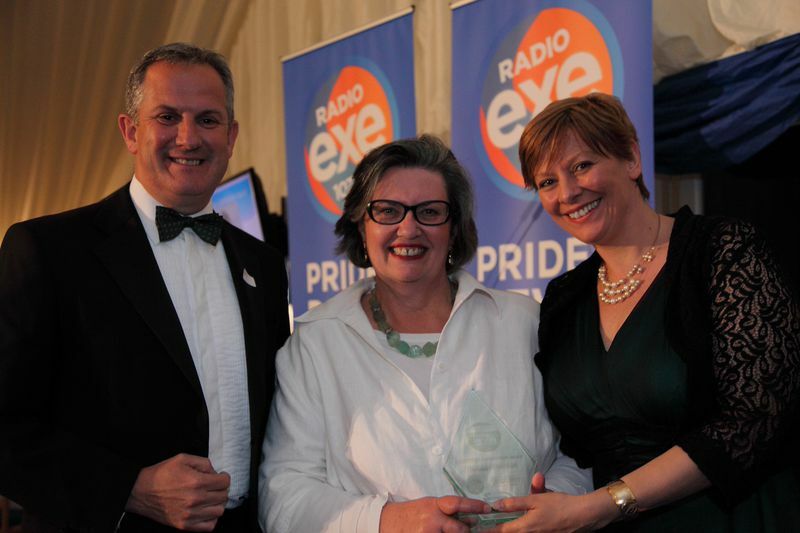 The Pride of Devon judges thought that the nature of the relationship between Joan and Sally stood out. A good neighbour cares. And Sally is the best there is. It takes a lot to be a carer. And it sometimes means that those ones we care for find it difficult to write the nomination. However Shane who lives in central Exeter, had no problem nominating his carer Kathy. Shane has a mental health issue and needs regular support. Katherine is the one who’s there for him. Not only is she kind and caring, Shane says she understands him. She sets him goals. She makes sure he can work to achieve them. Furthermore, Sean is gay. In this day and age, that shouldn’t make a difference, but Shane’s mental health issues make that another thing that sometimes needs explaining. And who’s there to support him? Katherine Irwin. Carer of the Year. 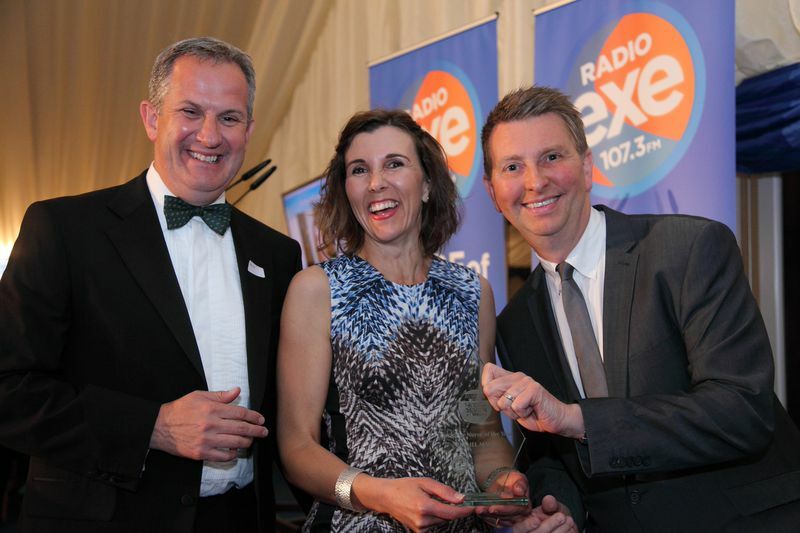 This was one of the most hotly contested categories this year, with nominations for lots people who spend time raising money for many good causes. But after much debate, the judges chose Hannah Reynolds as the worthy winner. 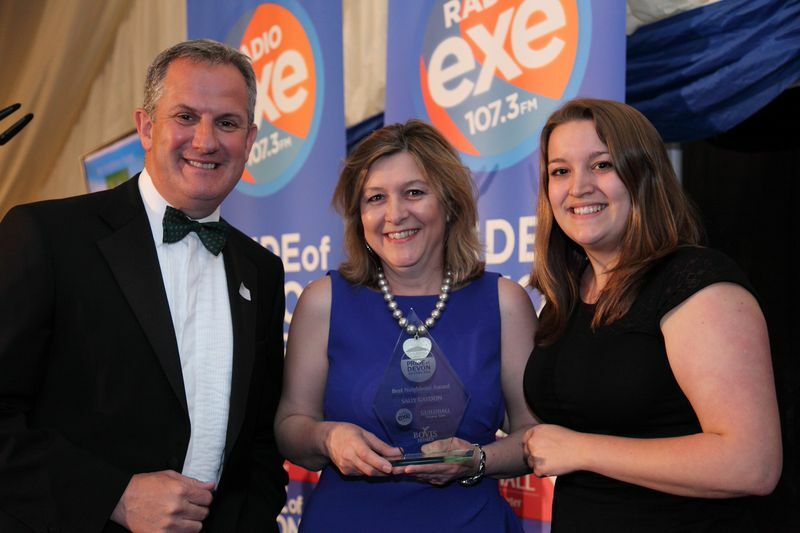 Hannah is the chairperson of the Exeter Community Centre on St David’s Hill. Not too many years ago, the community centre was in a sorry state and, despite its popularity as a community focal point, was falling into disrepair. Devon County Council decided the best thing was to sell it to developers. It needed someone with energy, enthusiasm, commitment and an ability to rouse disparate groups into action to pull together an action plan. Hannah’s talents as a fundraiser, cheerleader, diplomat, cajoler and, at times, enforcer, has ensured that the council didn’t take the cash and run. Working with councillors, officers, planners and community groups, a small group of people, under Hannah’s chairmanship investment running into millions of pounds, ownership of the building transferred to the community. There’s still much to do. For family reasons, Hannah no longer lives in St. David’s. 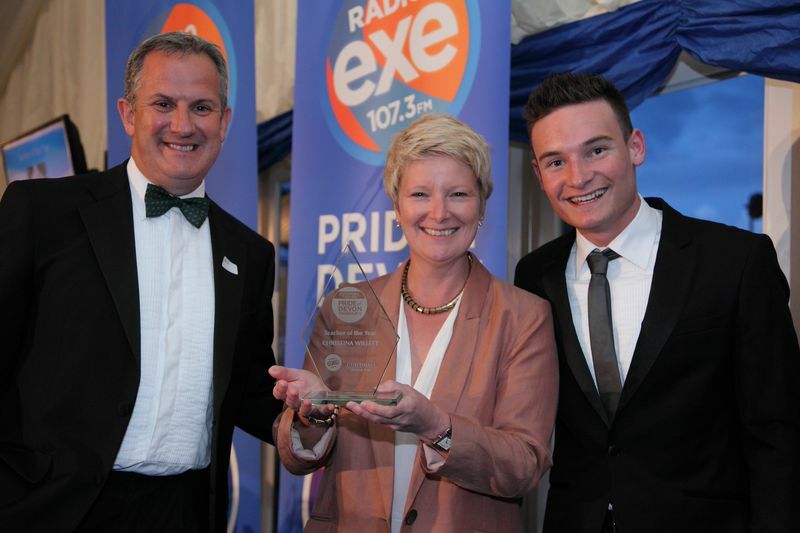 But she still works tirelessly for Exeter Community Centre. That deserves recognition. In many ways, Steve’s is both a sad and an uplifting story. 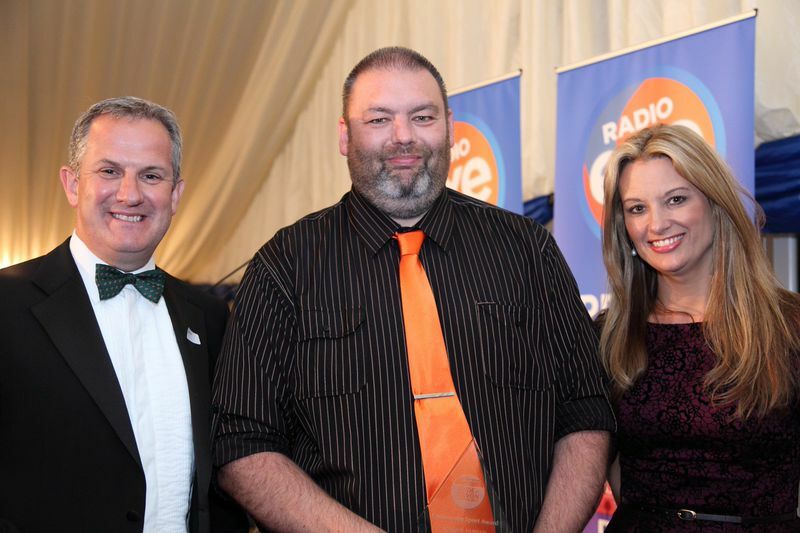 He first featured on Radio Exe when his daughter Sarah was in need of a double-lung transplant. He wanted to raise awareness of an issue that was critical to his family and he did it with vigour and accomplishment. Something that those who have got to know him respect hugely. Sarah sadly died, leaving a young family, and a committed father on a mission. for organ donorship to be opt-out, not opt-in, a method that is proven to make more organs available for transplant. In short, it saves lives. Steve does this despite his own health issues – and other commitments. He’s registered blind. And he’s the leader of the Liberal Democrats on Exmouth Town Council. So he is a public servant in the civic sense. And a relentless campaigner on organ transplant issues. Like the Devon County Show, which is in its 25th year at Westpoint, the Exeter Blue Anchor Majorettes have a silver anniversary. Founded in 1989, the troupe began for a very practical reason. Sarah’s daughter Ezme wanted to be a majorette and needed a club to join. It meant starting one. This was a tremendously difficult category to judge. 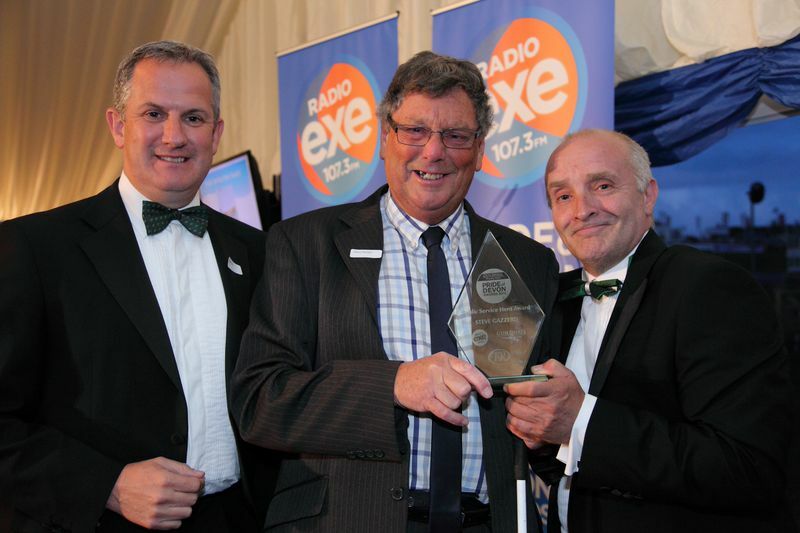 Not only was last year’s outstanding winner, Mr Mann, nominated again, lots of other new candidates popped up too. John is now in his first year at high school, but hasn’t forgotten what Ms Willett’s did for him and his class in his final year at Exwick Heights. Despite his nerves, the boy lacking in confidence at the start of the year took the lead role in the end-of-term production of Charlotte’s web. 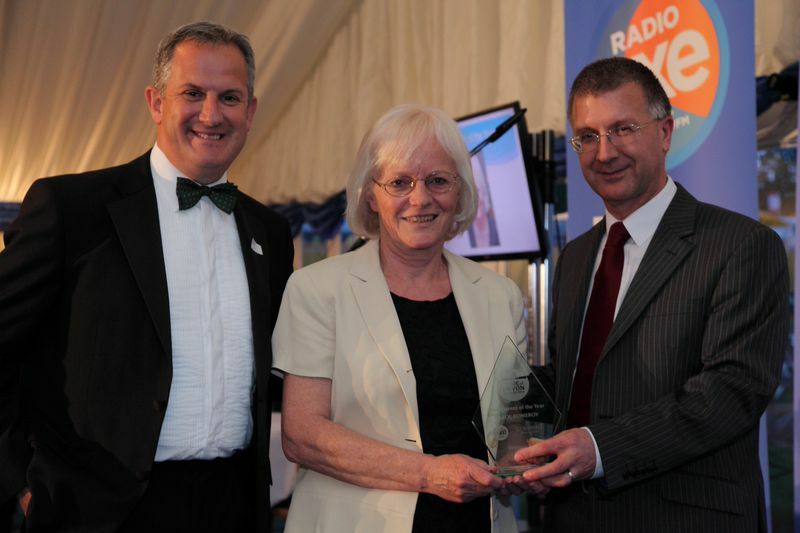 “I felt very proud but without her help I would never have thought I could go on stage,” John says. “Anyone else who has her as a teacher should be proud." Year after year, this is an exceedingly difficult category to judge, as every single doctor and nurse must be admired for devoting their lives to aiding and bettering the well-being of those in need. Rachel Mann trained in Leicester and moved down to Devon in 1991 to continue her training to become a GP. She went on to become a partner at the Westbank Practice in 1998 and has worked there ever since. Just a few years ago, City Raiders didn’t exist. But Nathaniel Parker wanted to play soccer out of school for a proper youth team, in a league. With no nearby available option, it fell to dad Adrian to swing into action. One school playing field – originally at Woodwater Academy, the former Walter Daw Primary School – one group of enthusiastic children, and few basic bits of kit and City Raiders came into being. 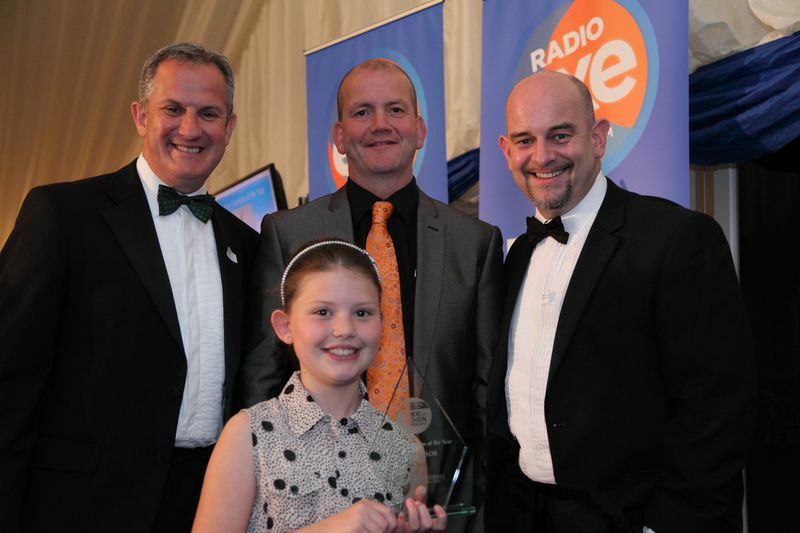 Nine-year-old Louisa Taylor has a special dad. 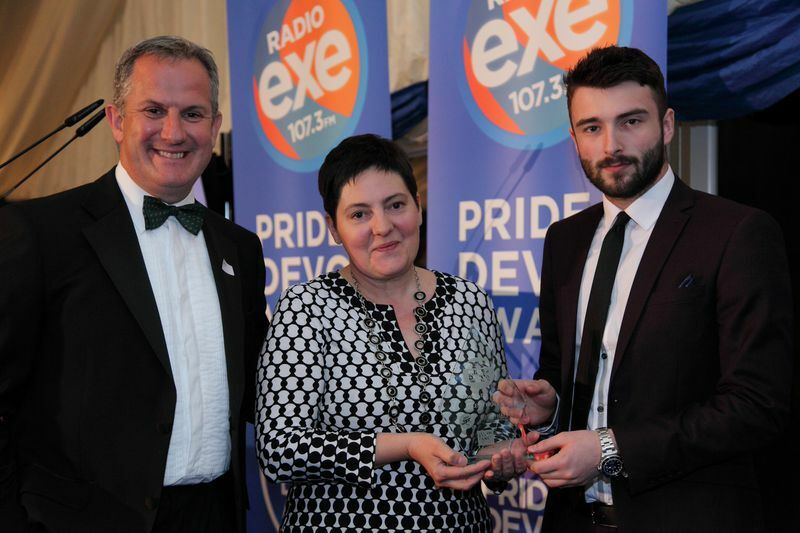 So special that she nominated him for a Pride of Devon award. Mark Taylor works 15 hours a night, she said. “Then he takes me to netball on Wednesdays after school and he takes my brother to football training. When mum works, dad picks me up three days a week. At weekends we go for walks or out in the car as a family. He is always a bit tired, but he keeps going every day to look after us and mummy.” If that sounds like a normal father, that’s what makes him a special parent in Pride of Devon. He’s special to Louisa. And she took the time to nominate him. 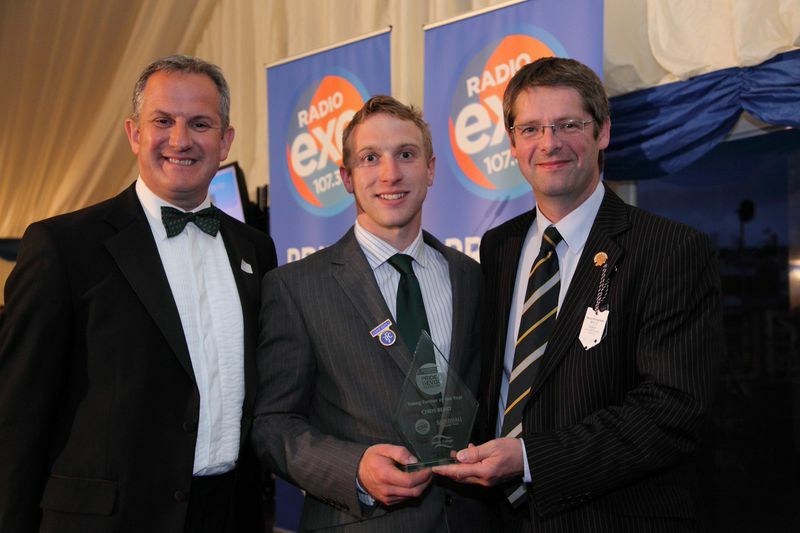 At just 27, Chris Berry is the chairman of the Devon Federation Of Young Farmers - the highest role at county level. His nomination comes due to the outstanding work he has continued to deliver. He graduated from Bicton with a National Diploma in Agriculture and was awarded the Student Most Proficient in Practical Skills prize. He was then awarded a scholarship to New Zealand through Young Farmers to further his education. Chris has now partnered in the 202 hectares of Higher Thornton Farm together with his parents and is evidentially an inspiration to Young Farmers all over the county. When five-year-old Henry Atkins started riding a bike in his granddad’s field, it set in motion a love of two wheels that has led to a distinguished, if so-far short, speedway career. Henry, who is now 13, has notched up a list of achievements. 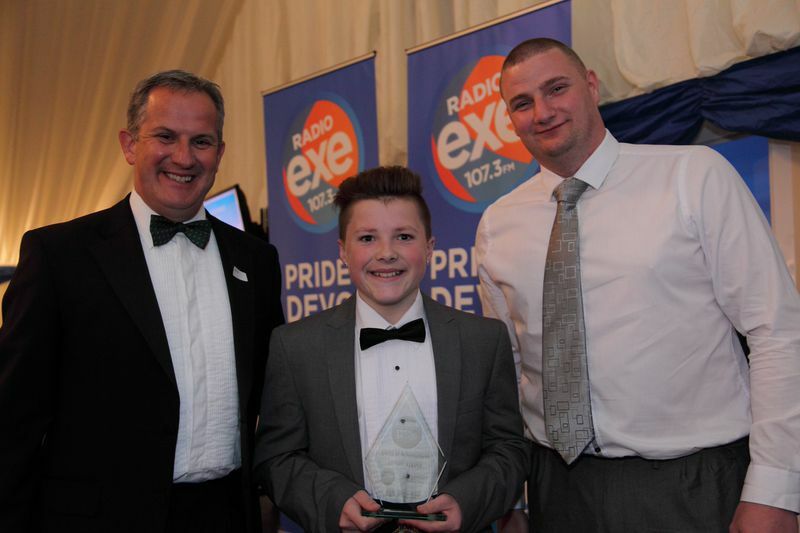 The West Exe Technology College pupil topped his first national competition at the age of nine, when he became British Youth Cadet Grasstrack Champion. By then he had a clutch of local and regional awards under his belt. His first major speedway win came the following season when Henry rode his way to the top of the 125cc British Speedway Championships. Since then he’s travelled the length and breadth of the country, taking part in speedway and grasstrack events at all points of the compass. You can’t get into his bedroom for the trophies, where he has more than a hundred pieces of silverware on display, and even more tucked away because there’s no room. Exeter no longer has a speedway track. So Henry has to travel to Somerset, where he is member of the Somerset Rebels. That doesn’t mean we’re not proud of him in Devon. And that’s why he’s our child of achievement. Paul Keating’s CrowdCanDo is at an early stage of its development. Right now, in fact, the website is in Beta testing, which means that people who use it are contributing to finding out what works, what doesn’t and what could be improved. Paul believes this business will be the first in Europe to bring a crowd-funding offer to events organisers that ensures they won’t lose money. He’s gained funding to develop the business and recruited a team who can make it happen. 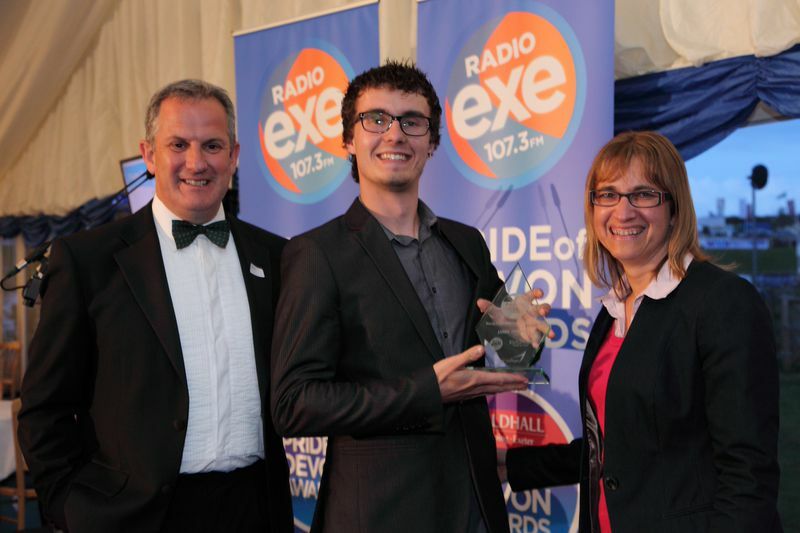 Since leaving Exmouth Community College, Paul has worked in two types of theatre. For the NHS in surgery. And as a stage manager for events; setting up a business with friends to bring more live music to Devon. He left the security of full-time employment to develop his digital and entrepreneurial skills, starting with online marketing. CrowdCanDo takes care of ticket sales for events that have achieved their crowdfunding campaign. Many people voted for Paul; suggesting an entrepreneurial push of which many business leaders would be proud. One wrote of how Paul had helped him with his own business. Others talked of his ambition and determination. Good luck to CrowdCanDo. In October 1664, 1200 soldiers were recruited to serve in the Fleet. They were known as the Duke of York and Albany’s Maritime Regiment of Foot. As the Duke of York was The Lord High Admiral, it became known as the Admiral’s Regiment. And there was much to do. 1664 was the year England fought the Dutch, annexing part of the East Coast of North America known as New Amsterdam. With the Duke of York as Lord High Admiral, this was renamed New York. Today we know the group that began as the Admiral’s Regiment as the Royal Marines. During World War Two some 80,000 men served in the Royal Marines, operating in sea and land formations. The Royal Marines Commandos were formed in 1942. Everyone who becomes a Royal Marine trains here in Devon, at the Commando Training Centre at Lympstone, the only training establishment that trains to a standard by which recruits are read to deploy directly on operations right away. 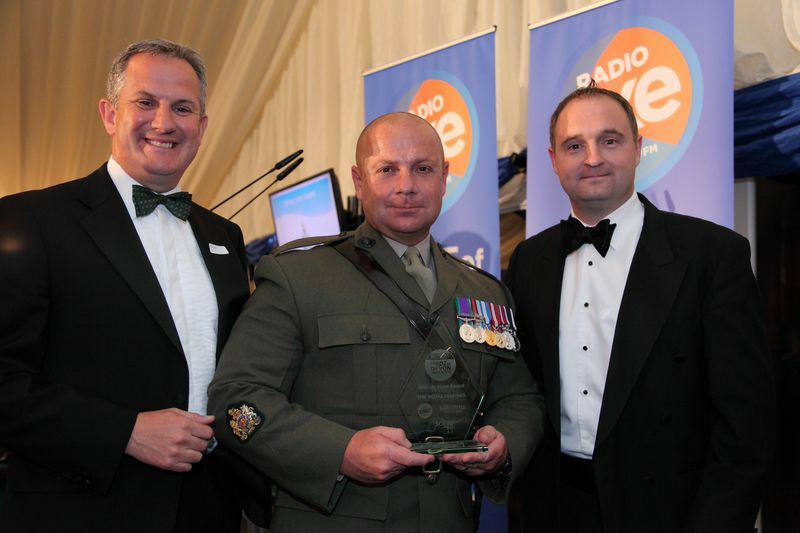 We’re proud that the Royal Marines and the training centre are in Devon, and central to our community. Tonight we congratulate the Royal Marines on 350 years of achievement and commend their long history of courage, sacrifice and service. 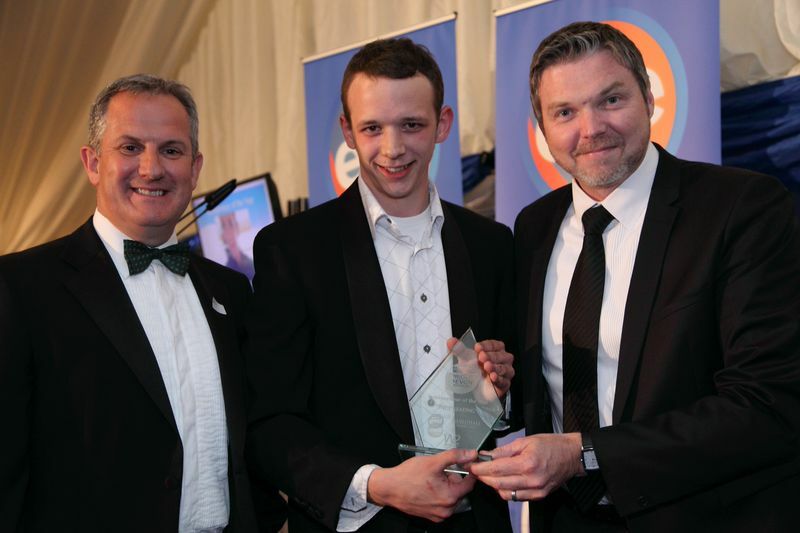 Nominated by his employer, Radical Remaps, which improves vehicle performance through engine management software, Jamie Taylor is a young man with high standards. Jamie is an apprentice, who works for the company four days a week, and attends college to study for an NVQ level 3 in body repair. So he enjoys the benefit of a working environment, doing something he enjoys, whilst also gaining the theoretical insight into his craft too. Devon Wildlife Trust is the only independent organisation that works across all aspects of wildlife conservation in the county. With 40 nature reserves in Devon and 35,000 members, it has been doing sterling work for more than half a century. Devon Wildlife Trust owes much to its volunteers, but volunteers can’t operate in isolation. They need coordinating, directing, influencing if their enthusiasm and hard work is to be focused on areas that really matter. Devon’s got the Exe Factor. We know this, because the ten million people who watched the final of last year’s X Factor will have seen much of Devon in the show. That’s thanks to teenage singer Luke Friend. The 17-year-old from Teignmouth suffered audacious auditions, a gruelling bootcamp and all of the live finals before making it to the series finale the week before Christmas. 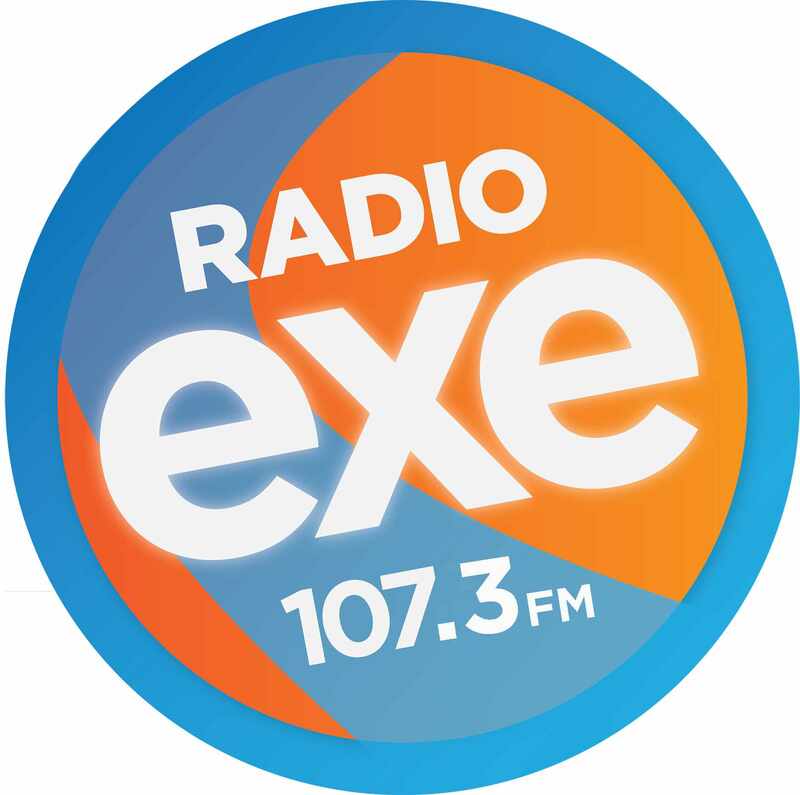 And in that very busy week, he came back to Devon, visited his old school, performed at Exeter University’s Great Hall and joined Radio Exe at its studios for a live interview. He took all this in his teenage stride; performing with aplomb and entertaining the nation along the way. Unusually for an X Factor finalist, Luke doesn’t just sing. He plays an instrument and writes his own material too. Having been on the X Factor tour, he’s now signed with a top management company and is working on his first album. Few people have focused as much positive attention on Devon in the past year as Luke Friend and for this he wins his award. Bosses often get a hard time; usually – and understandably - behind their backs. Boss of the Year proved to be a tremendously difficult category in which to attract nominations. The people who nominated Helena Holt clearly felt passionate about putting her name forward. Devon Air Ambulance is a high-profile charity in the county, but it’s taken much hard work to reach this point from the start of the organisation in 1992. The Trust now has two helicopters, a small team and an army of supporters. It is much loved and so is its chief executive. 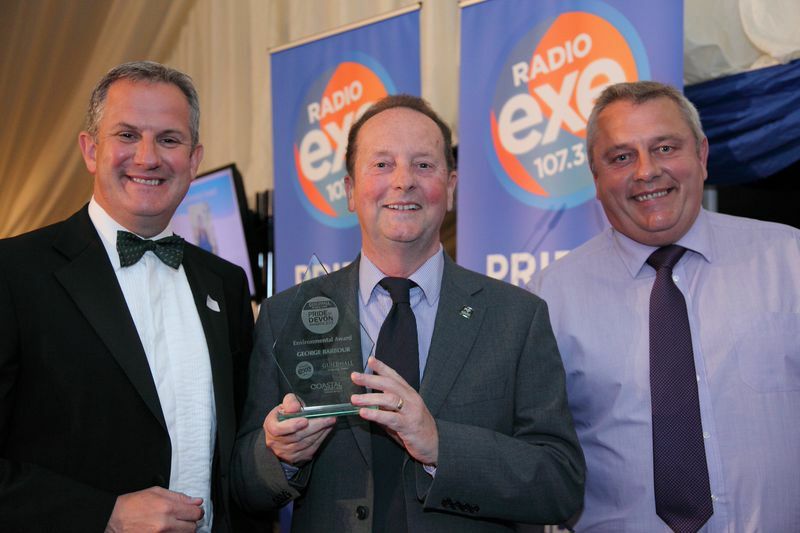 The Guildhall Shopping Pride of Devon Award is given in recognition of either lifetime service or an event or achievement. Now a man of leisure, retired from a service in which he’s given decades of his life. On Boxing Day 2013, he handed over the badge of office as coxswain to his successor and thus ended a long and distinguished career. Tim joined the RNLI as a crew volunteer in 1980 at the age of 21. Three years later he became the full-time mechanic. During his career, he worked under 15 divisional and deputy inspectors. In fact, when he hung up his life jacket, he was still Exmouth RNLI’s only member of staff. It is a service that relies on an army of volunteers. Over 34 years, Tim became nothing if not an experience, committed expert. He is the one who ultimately ensured the safety of the boat and the crew. Exmouth and the wider Devon coast enjoys the protection of the RNLI. And its values – trustworthy, dependable, selfless and courageous are personified in Tim Mock. Tonight, we salute him. And we thank the RNLI for heroes like Tim Mock.